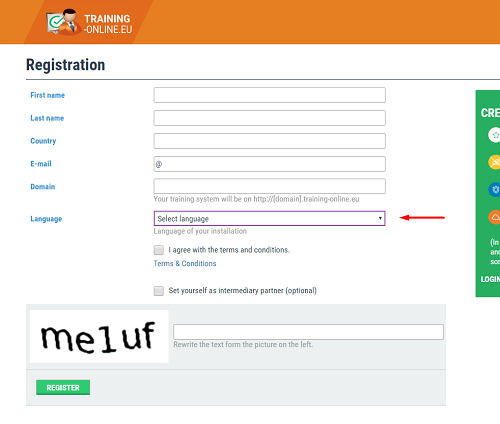 Training-Online.eu supports multilanguage user environment, means that each user may setup his own language. 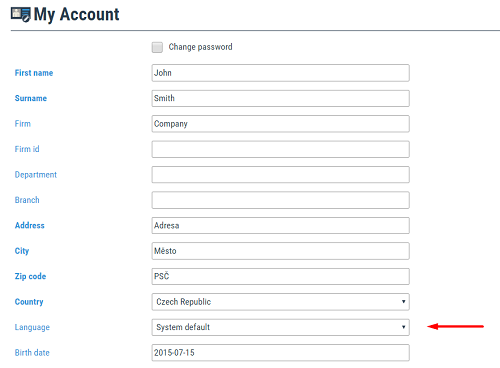 In practice it means that each user may set the language in the MyAccount and operate the system in this selected. Please note, that only system menus are able to translate. The contents and texts of the courses are not subject to translate, as they stay in the language they have been prepared. The system language is first set when you registering the platform, you select the platform language. 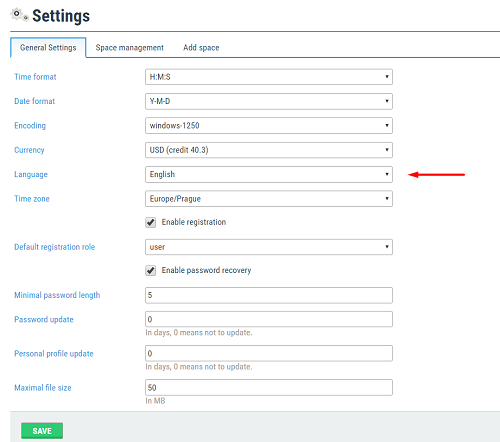 In this case, the language will be changed also for the login page and each user will see the system language at the login page. You may change the system language in Settings module. The change will be done immediately. Each user may set his own, system independent language. The system comes to the user with the setting of System default. To setup his own, he may select the preferred language and save. When the user logs in next time, the selected language will be used. In this case, the user will see the System language at the login page and once logs in, his language is changed to the language he has set in his MyAccount. Edited 8 time(s). Last edit at 03/05/2019 09:37PM by Masteradmin.